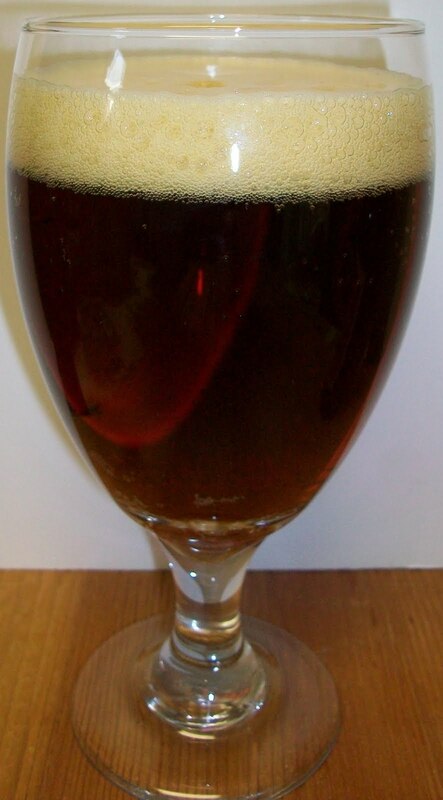 The Irish Red Ale is an all-malt ale brewed with toasted caramel malt to naturally produce its signature red color. Its fruity nose and initial malt sweetness is a classic interpretation of the style. This was one of those impulse buy’s during March. I almost bought a 6 pack but put it back and just got one bottle. To be honest I am scared to try this one. I have not had a good “craft beer” yet from Michelob. But I’ll give this a whirl anyway, who knows we may be surprised. Well so far so good. It pours like an Irish Red with a clear deep amber color with ruby hues and a fairly rich off white head. There is not much on the nose, some sweet caramel malts and a slight flowing hop aroma. There is nothing special on the nose but more importantly there is nothing unusual or offensive either. Who knows this may actually be drinkable. OK, time to eat crow; this really isn’t too bad. Sweet caramel malts upfront on the tip of the tongue then a nice effervescence over your tongue in mid-sip. The back end is quite enjoyable; easy to swallow with a very pleasant dry finish. This is one of those beers that has just enough hops to provide a fairly dry finish without a lingering bitterness. The final aftertaste is a little odd but also not too bad. There is a lingering almost candy sweetness to the final aftertaste along with a toasted malt notes. Since I was not expecting much I am pleasantly surprised with this beer. 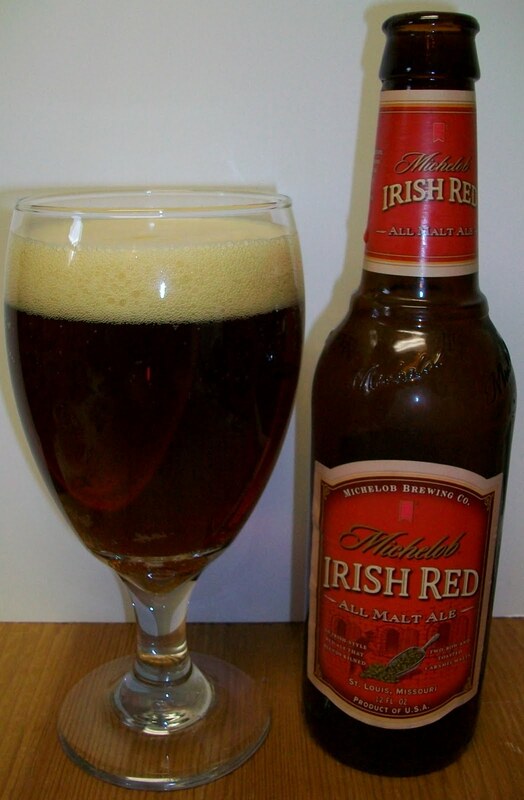 It is not a superior Irish Red but it is a very drinkable Irish Red. And I have to assume that is what Michelob was going for, an easy drinking beer. This is definitely a “must drink cold” type of a beer. It has slightly warmed, now at 59 degrees and it is already picking up some unpleasantness. At mid-sip and throughout the swallow there is now a harshness that wasn’t there earlier. It’s just much harder to swallow. This odd harshness also carries through to the finish. In just a few degrees this beer has gone from easy drinking to almost difficult to swallow. I don’t think I can let it warm too much more. Now at 63 degrees and any sign of that once easy drinking beer has completely left the glass. This is now getting harsh and not enjoyable at all. Even the almost candy malt sweetness has completely disappeared. Well, they got me again. I feel like an old Warner Brothers cartoon character with a big “SUCKER” written over my forehead. Or you know when their head actually turn’s into a lollypop. Yeah that’s me playing the Michelob sucker again. For a final rating it’s a D. It really started out as a high C but that didn’t last long. This is not a bad beer if you drink it ice cold just don’t let it warm up on you. Sorry there is no recommendation on this one. There are too many good Irish Reds out there, so don’t waist you time on this one.